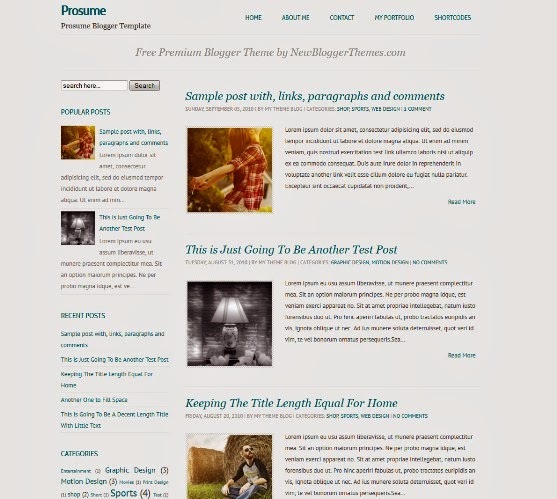 Prosume is a Responsive Blogger Template. Features are 2 Columns, Adapted from WordPress, Blue, Fixed width, Fresh, Left Sidebar, Magazine, Responsive, Top Navigation Bar, Web 2.0, White and more. Educator Blogger Template is utterly stylish yet decent and sober theme designed for BlogSpot based websites. 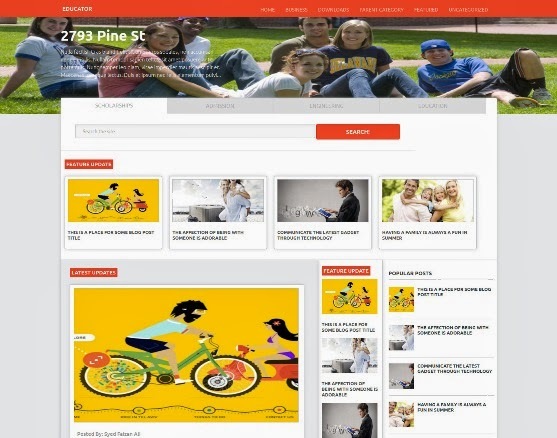 We have designed this template for all those colleges, universities and other institutions who want to have an amazingly professional website with not a lot of expenses. 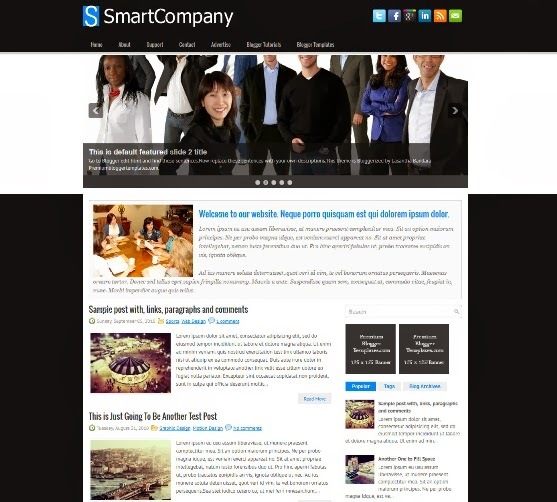 SmartCompany is a Responsive, 2 Columns Blogger Template for Business and Company Blogs. SmartCompany has a jQuery Slider, Dropdown Menus, Featured Area, 3 Columns Footer,Tabbed Widget and more. Uturn Blogger Template has 1 Sidebar, 2 Columns, 3 Column Footer, Adapted from WordPress, Featured Section, Fixed width, Magazine, Right Sidebar, Slider, Top Navigation Bar, Web 2.0, and more. 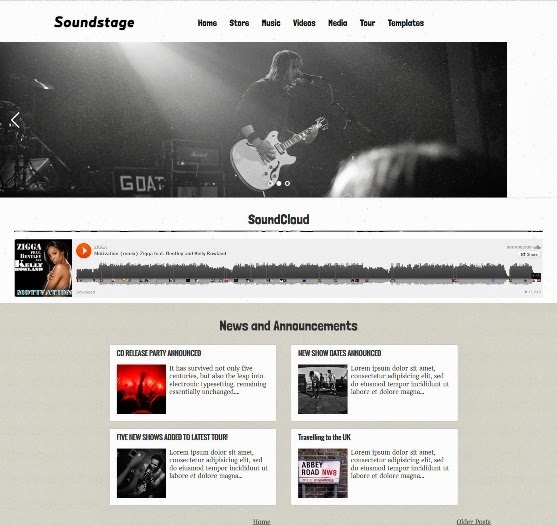 The Soundstage theme for bands will wow everyone who visits in seconds with it’s impressive slider and slick home page layout. We have tried our best to give this theme a dashing look, Soundstage theme is complete package for awesomeness. 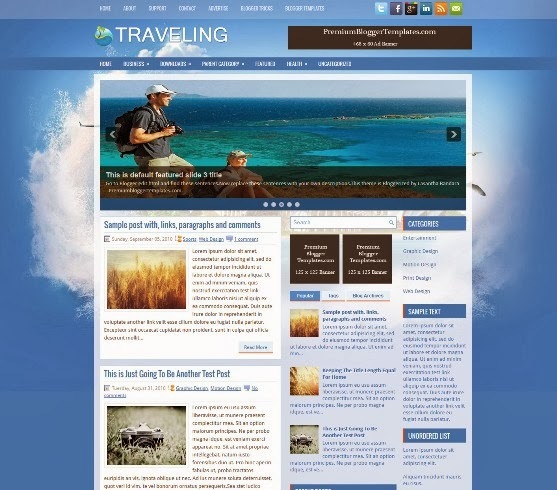 Traveling is a Responsive Template for Travel Blogs. Traveling has a jQuery Slider, Dropdown Menus, 468×60 Header Banner and more. 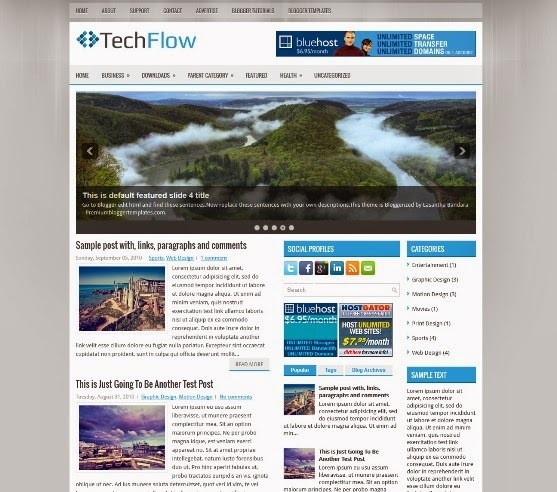 TechFlow has 2 Sidebar, 3 Column, 3 Column footer, Adapted from WordPress, Featured Section, Fixed width, Header Banner, Magazine, Premium, Right Sidebar, Slider, Tabbed widget, Top Navigation Bar, Web 2.0 and more. 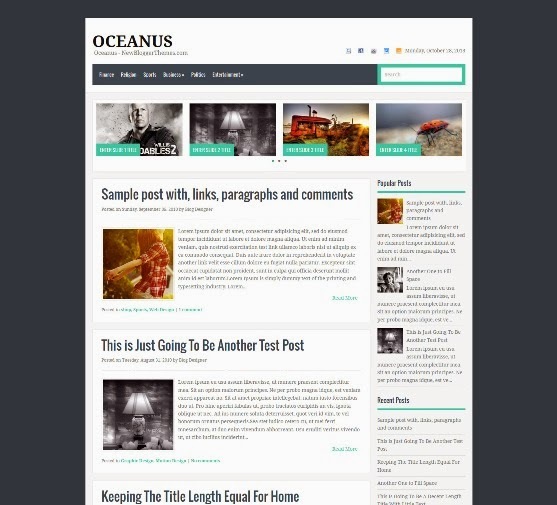 Oceanus is a Free Blogger Template. Features are 1 Sidebar, 2 Columns, 4 Column Footer, Adapted from WordPress, Blue, Elegant, Featured Section, Fixed width, Magazine, Right Sidebar, Slider and Top Navigation Bar.